1. Randy Cordova of the Arizona Republic wrote: "At first, it’s fun and shiny, then you’re left with a crumpled mess on the floor." 2. Clark Collis of Entertainment Weekly wrote: "In short, this Josh Trank-directed reboot had a very low hurdle to overcome to become the best FF movie so far. The most fantastical aspect of the movie is that it may not achieve that goal." 3. 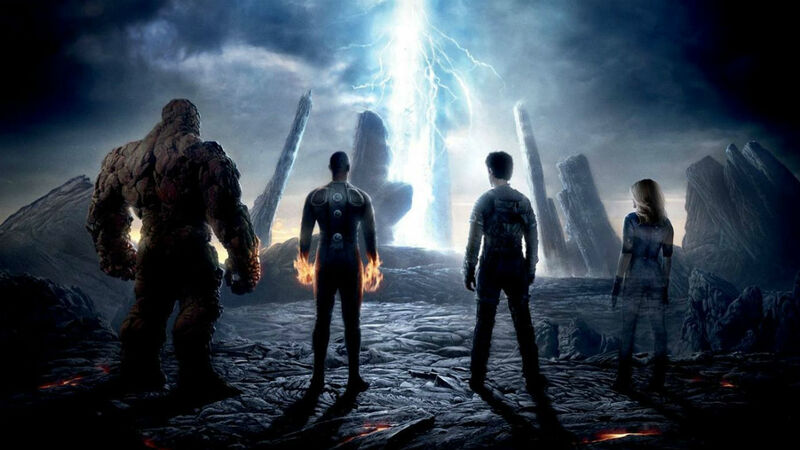 Bilge Ebiri of Vulture wrote: "Given the level of talent involved both in front of and behind the camera, nobody should feel much joy — no anti-tentpole schadenfreude or blockbuster-busting righteousness — to discover that the latest Fantastic Four film is a catastrophe." 4. Lou Lumenick of the New York Post wrote: "A lousy script, unfocused direction, incoherent editing, shockingly terrible special effects — and, probably, panicked studio executives — have left its four talented stars muddling through a dull superhero origin story with zero payoff...Given this disaster, any plans for a sequel seem more like a threat than a promise." 5. Pete Travers of Rolling Stone wrote: "The latest reboot of the Fantastic Four — the cinematic equivalent of malware — is worse than worthless." 6. Todd McCarthy of The Hollywood Reporter wrote: "A sense of heaviness, gloom and complete disappointment settles in during the second half, as the mundane set-up results in no dramatic or sensory dividends whatsoever." 7. Rene Rodriguez of The Miami Herald wrote: "I’d rather sit through Roger Corman’s no-budget, unintentionally hilarious 1994 adaptation, because at least that one makes you laugh." 8. The Chicago Tribune's Michael Phillips wrote: "From Miles Teller to Kate Mara to Reg E. Cathey, everyone on screen in Fantastic Four speaks in a flat, earnest monotone with a determinedly low-keyed air bordering on openly not giving a rip." 9. USA Today's Brian Truitt said: "An unfortunate movie that does an embarrassing disservice to the decades-old property and is a frightful waste of all the talent involved." 10. Joe Neumaier of The New York Daily News put it best: "Someone forgot to put anything fantastic into Fantastic Four." What did you think of Fantastic Four? If you haven't seen it, would you see it after the bad reviews? I've heard nothing good about it, but I still need to give it a try. The kids may like it, too. We'll see! Wow, those are definitely some terrible reviews. It's too bad they can't get Fantastic Four done right!